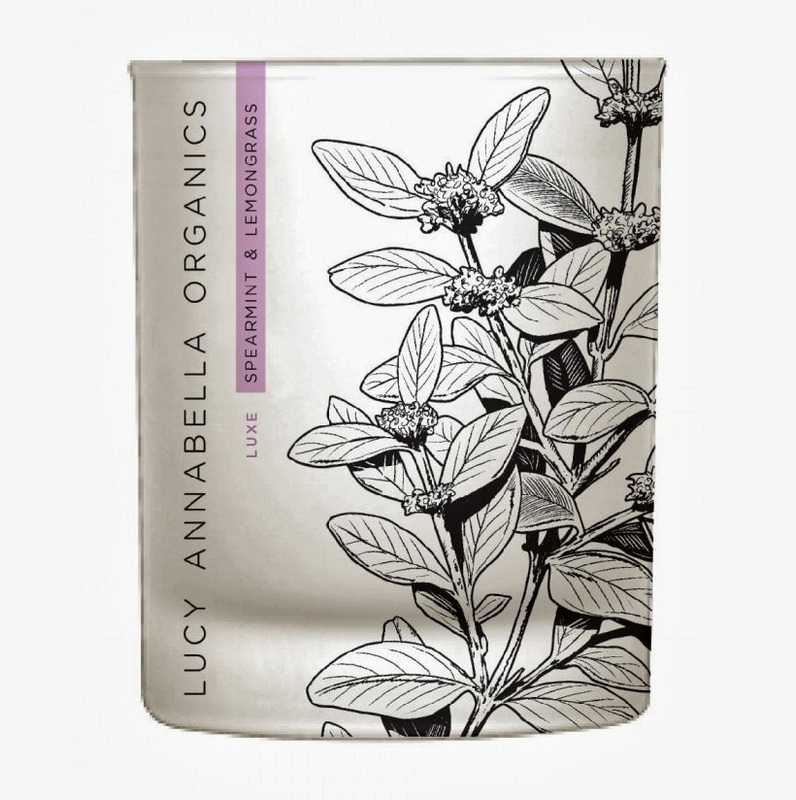 I love discovering new brands, especially new organic brands. 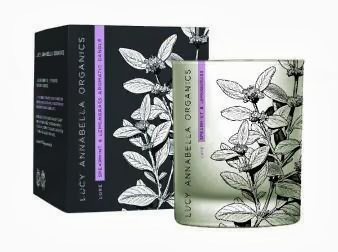 When Lucy Annabella got in touch, I knew there were lots of things from the brand that I wanted to try as soon as I looked that their lovely clean, and easy to read website, but I settled on this Spearmint and Lemongrass candle, as has been well-documented previously, I go a little bonkers for mint-scented products (in a good way), and hell, I’m always a sucker for a candle, and these are gorgeous candles. I was a bit spoiled for choice though, as the bath milks sound amazing and so do the treatment oils, one of which I’ll be reviewing soon too. Based in Northern Ireland, Lucy Annabella has been founded by Collen Harte, a clinical aromatherapist (disclosure, my mum is also a clinical aromatherapist, such things do exist) and complementary therapist, and the brand is intended to bring “pure living” into your home. Products are certified by both the Aromatherapy Trade Council and the Soil Association. The Spearmint and Lemongrass candle is sharp and invigorating and scents the whole flat when it’s burning. Mint is an unusual choice for a candle, but it’s one I enjoy very much whenever I find it, and it’s great for a daytime burn, or for helping to clear the mind when you’re working – in fact, I’m burning it now whilst I’m writing this review. Soy wax based – I find plant waxes always burn more cleanly than petroleum-based candles – with a cotton wick, the candles are clean-burning and have a great throw, our four-room high-ceilinged flat always smells clean, bright and inviting when we have this lit and it’s lasted well, the company suggest that you will get a fifty hour burn for your £32, which is great value. You will need to keep your wick trimmed though, as with all candles of quality. The lemongrass tempers the mintiness, adding a separate layer of fresh scent, and not making it smell like you’re burning toothpaste. I adore the packaging too, my candle arrived in a box decorated with mint leaves, and the candle itself was wrapped in tissue, making this a glorious gift idea. So, this is an exciting new brand discovery for me, more to come. Oooh, I've never had a mint candle before. I can feel a purchase coming on!